Don’t be afraid to fail. Sure, it’s scary to think about, but everyone fails at some point in life. The key is to accept it and learn from the failure. (And then of course, don’t fail the same way again!) In fact, we can learn a lot from failures, whether they are from market timing, quality, technology, or totally misjudging consumers’ tastes. 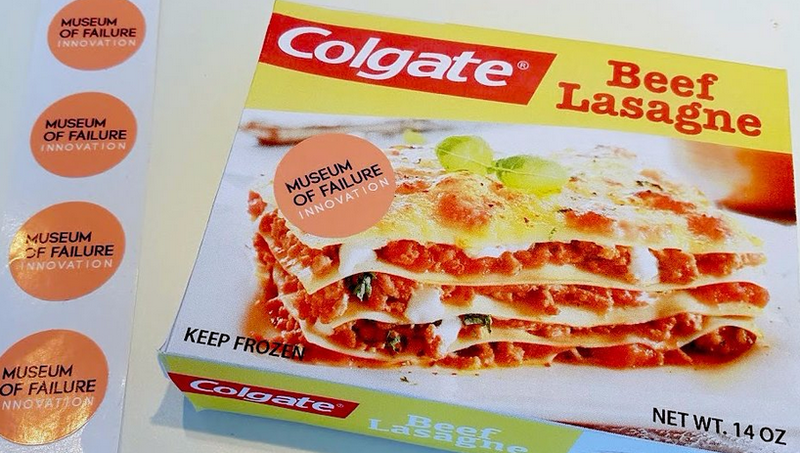 These products are part of the new Museum of Failure, now open in Helsingborg, Sweden. Defined as “deviation from expected, desired outcomes,” failure is more common that most companies would like. But, if the Apple Newton had not failed, we might not have today’s iPhone. Marketing may be risky. But, it is also fun to beat the odds and win. Discuss the reasons that new products fail (i.e., poor product differentiation, not satisfying customer needs, bad timing, poor quality, poor execution, etc.). Divide students into groups. Have each group list 10 products that have failed. From each team, select one failed product and have students determine the reasons it failed. Have each team think of current products that they believe will soon fail. Why will these fail? 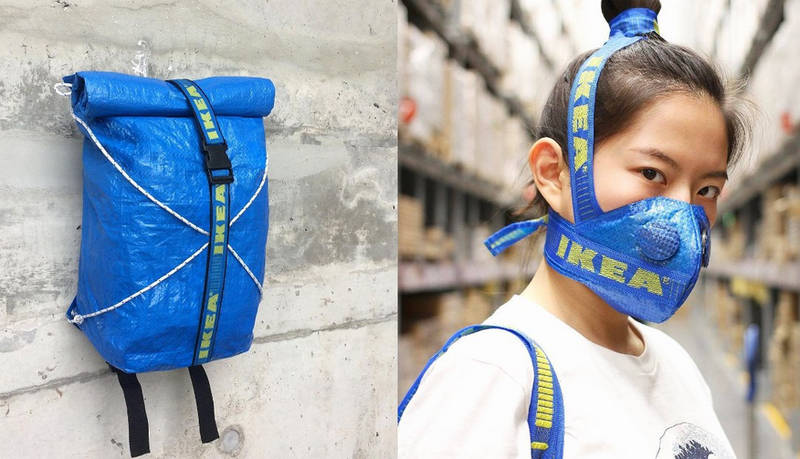 If you have ever been to IKEA – or even seen a catalog – you are probably familiar with the iconic FRAKTA bag. It’s big, sturdy, easy to clean, lightweight, inexpensive, with handles, and is blue. It lasts a long time, stores in small spaces, and has virtually unlimited uses. And to top it all off – it only costs $0.99! A few months ago though, high-end fashion house Balenciaga started selling another big blue bag that looks suspiciously like FRAKTA. But, that bag is priced at a whopping $2,145! As often happens in situations like this, people went crazy with hacks to show how to turn the blue bag into other items. Some of the creative ideas included shoes, hats, face masks, baby bibs, capes, blankets, wallets, and more. IKEA then took the idea and ran with it by improving the FRAKTA bag with patterns printed on the bag and instructions on how to repurpose it (no tools included). In fact, the company even has additional uses posted on its Web site. Since it would be crazy to cut up a thousand dollar bag, Balenciaga’s bag is not very likely to have multiple uses, thus leaving IKEA free to innovate on a common product. Discuss the importance of branding for companies and products. What happened when Balenciaga came out with its shopping bag? How does this affect both brands? Bring several of the blue bags (the cheap one) to class. Divide students into teams and have each team create a new use for the bag/material. Are there other common inexpensive products that could be repurposed? Fans of the hazelnut spread Nutella are very happy right now – at least they are if they live in or are visiting Chicago. While the company has often had pop-up stores in locations, it now has its first permanent café located on Michigan Avenue opposite Millennium Park in Chicago. This is the first restaurant that is owned and operated by the company, but it surely will not be its last. 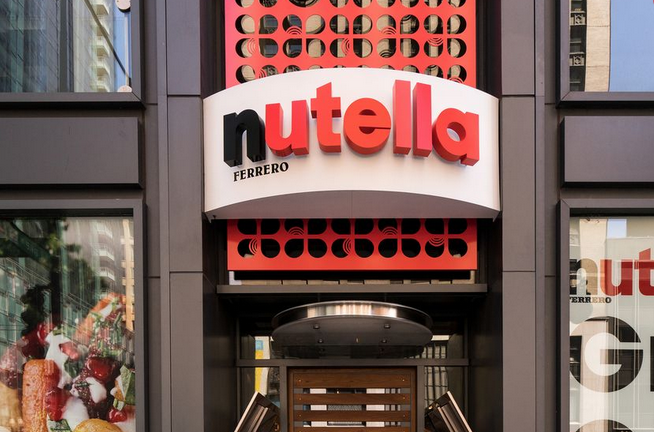 Customers enter the store through a Nutella jar-shaped door, with light fixtures shaped like hazelnut flowers, and waves on the ceiling. The new café has a specialty menu of food items that demonstrate the ways in which the beloved spread can be used. Picture (and smell) warm grilled baguettes with Nutella, roasted hazelnut and blueberry granola with yogurt, along with other dishes including salads, Paninis, and more. The company view the new café as both a revenue stream as well as a prominent advertisement for the many qualities of Nutella spread. While other cafes are being considered in various locations, none have been formally announced. Discuss favorite foods. Any Nutella lovers in the room? Ask students their opinion of the new café. How does this fit into an integrated marketing campaign. Divide students into teams. Have each team select a favorite food and come up with a similar way in which marketing could be expanded into consumer experiences.